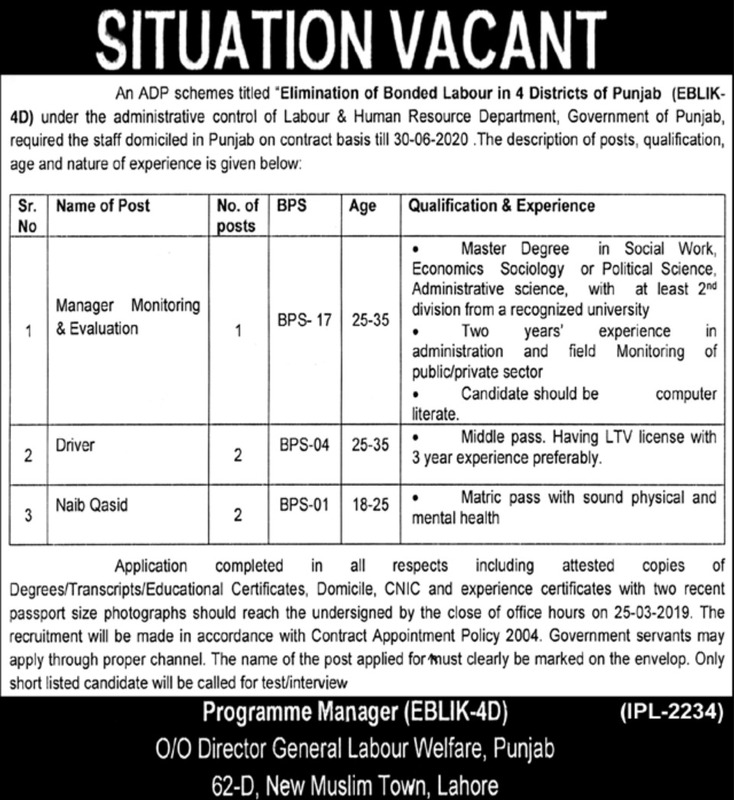 ADP schemes titled Elimination of bonded labor in 4 districts of Punjab under the administrative control of labor and human resource department government of Punjab, required the staff domiciled in Punjab on contract basis till 30-06-2020. The description of posts and qualification, age and nature of experience is given below. Labour & Human Resource Department jobs for Manager Monitoring & Evaluation, Driver, Naib Qasid. Master degree in social work, Economics, sociology or political science with 2nd division. Application completed in all respects including attested copies of all degrees, domicile, CNIC with experience certificate should reach the undersigned by the close of office hours. 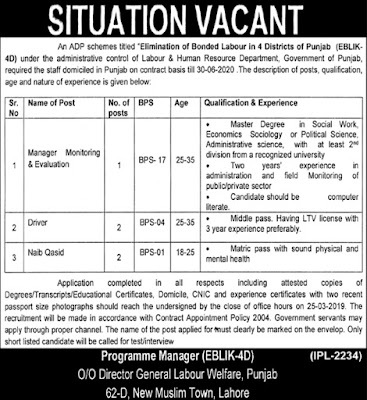 O/O Director general labor welfare, Punjab 62-D new Muslim Town, Lahore.